Charming Spanish on rare corner lot in desirable Ocean Park neighborhood just blocks from the beach. Conveniently located moments from trendy Main Street shops and restaurants. Light and bright 2 bedrooms and 1.50 bathrooms features original hardwood floors, formal dining room, original wood frame windows and doors. Property has excellent potential offering a large basement and spacious backyard with multiple parking spaces. First time on the market in over 50 years! This is a "Trust Sale" with no court confirmation required. Property is being sold in "AS-IS" condition and tenant occupied. All of your bases are covered with Andrews & Roberts real estate team. Offering a powerful combination of 15+ years of experience and innovative thinking. This dynamic team, now backed by the extensive resources of Compass, can handle your every need in any real estate transaction. Los Angeles Realtor, Susan Andrews loves the journey of home ownership. It is not often that a Realtor actually embodies the American dream. A tough childhood in Queens, New York, taught her the true meaning of the quest. Purchasing her first home in Los Angeles taught her the joy of it. The search, the purchase, the details, even the renovation felt like second nature to her. Once she realized the job of a Realtor is defined by relationships, education and support, Susan knew she’d found her true calling. “Just like people, houses have souls and personalities. It has to be the right fit,” she says. For Susan, a house is not just where you live, it’s where every aspect of your life unfolds. “It has to be a smart decision for today and a good investment for the future”. Born and raised in Los Angeles, California, the origin of Justin’s career history is in his father's machine shop manufacturing parts for the aerospace industry. The standards and attention to detail Justin developed in his family business have been essential to his success. 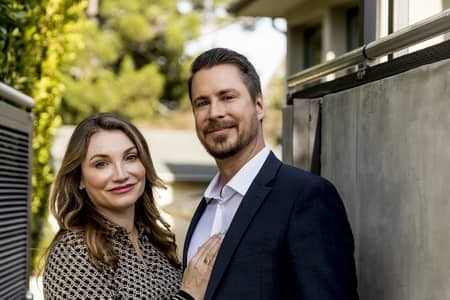 No stranger to hard work, he enjoys rolling up his sleeves and digging into house preparation and flipping projects with his partner in business and in life Susan Andrews. Together they are a one stop shop for all of your real estate needs. From interior design ideas to renovation and staging, Andrews & Roberts will streamline your real estate experience.